Some of the most inspiring stories of success come to us compliments of people who took an unconventional path to the top. Stories of people who traversed the "Horatio Alger-esque" Back-Roads to the top provide us with non-conventional roadmaps for success. And these stories bring about hope for those for whom the path to success is not paved with golden bricks. Some started their journeys in the mailroom, others in a retail store, on the factory floor, delivering pizzas, driving a truck or even as a Wall Street shine boy. These stories are more prevalent than ever before. What we can learn from them is not usually written about in business school textbooks or talked about in business school classrooms. 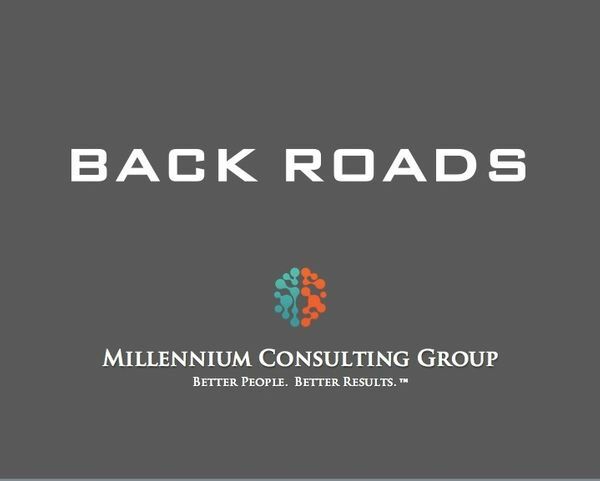 In this talk we profile some of the best rags to riches Back Road stories from some of the most inspirational people to have taken the road less traveled to the top. We focus heavily on the mindsets and actions of each story's protagonist. Who the heck is Hank Davis and why should I care?